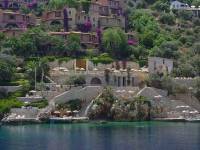 What sets this tour apart from our other LandOfTheGods Turkey holidays is the significant nights spent on the coast between Kusadasi and Antalya. This coastal portion of the Turkish Odyssey will charm you with its beauty and enrich you with its historical significance. From the stunning rock formations of Cappadocia to the ancient King's Tombs of Kaunos, this part of Turkey's Aegean coast will enchant you with its diversity and beauty. 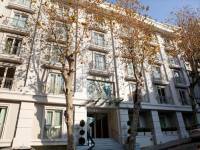 Description: Upon arrival in Istanbul you will be greeted and transferred to your select hotel. There will be a welcome briefing this afternoon. The remainder of the day is to be spent at your leisure. Description: After breakfast you will be greeted in the lobby of your hotel and commence your full day historical Istanbul tour. Visits include the Topkapi Palace (the Imperial residence of the Ottoman Sultans with displays of priceless collections of artifacts, jewelry, and rare porcelain), the Blue Mosque (unique with its 6 minarets and famous for its blue Iznik tiles), the Hippodrome Square (where ancient chariot races were held), and then a visit to the world famous Grand Covered Bazaar (the world's largest and oldest covered market). 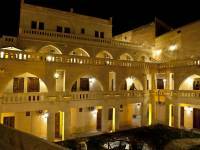 This evening, you can join an optional dinner with belly dancing entertainment. Description: This morning after breakfast you will depart for Gallipoli, the site of many battles during WW1. You will visit various World War 1 memorials such as Anzac Cove, Lone Pine Cemetery, and Chunuk Bair. Afterwards, you will cross the Dardanelles by ferry to Canakkale to visit Troy with its famous Trojan horse. 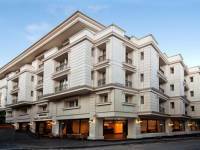 Description: Enjoy your breakfast at the hotel before you depart for Pergamum. Lunch will take place in a traditional village before visiting the Asclepion. 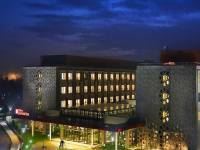 You will continue on your way to Kusadasi for your overnight stay at your select hotel. Description: This morning after breakfast prepare to tour the famous ruins of Ephesus, one of the most important cultural centers in the ancient world. Explore the 2,000 year old marble street, a theatre, a gymnasium, the Library of Celsus, and Hadrian's Temple. You will then take a short drive to see the stone cottage where it is believed the Virgin Mary spent her final years accompanied by St. John. You will continue to a regional rug production center to have a firsthand experience of this unique art form. An afternoon drive through lush valleys will take you to Pamukkale, the Cotton Fortress, with its white terraces and hot mineral springs. 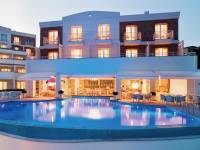 Enjoy a swim in your hotel's thermal pool. Description: Following breakfast at your hotel you will be taken to visit the ruins of the Roman health spa of Hierapolis and later drive to Bodrum to visit the Castle of St. Peter (Bodrum Castle) and the renowned Bodrum Museum of Underwater Archaeology. 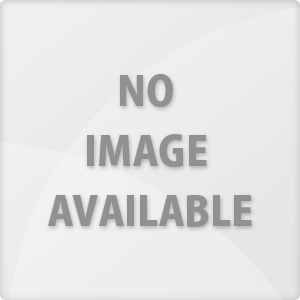 Description: After breakfast, you will visit the Mausoleum at Halicarnassus, one of the Seven Wonders of the Ancient World. Afterwards, you will depart for Marmaris. The rest of the day is at your leisure. Dinner and overnight in Marmaris. Description: Enjoy a day of leisure in the lovely town of Marmaris. Dinner and overnight in Marmaris. Description: After breakfast, you will depart for Dalyan. You will arrive at Dalyan village after a short trip and take a river boat to tour the famous mud baths and sulphur hot springs. View the ancient tombs of Kaunos before enjoying a relaxing swimming break at Iztuzu Beach (also known as Turtle Beach), which is a natural shelter and breeding site for blue crabs and the nearly extinct loggerhead sea turtles. Tonight you will enjoy a dinner at a local restaurant. Description: After breakfast, depart for Antalya. En route, you will visit the famous Church of St. Nicholas in Demre and the ancient site of Myra before continuing to Antalya. Dinner and overnight in Antalya. Description: This morning you will visit Perge and Aspendos. The afternoon is free at your leisure. Description: Today begins with an early morning departure for Konya. En route, you will visit the famous Roman theatre in Aspendos before continuing to Konya where you will visit the mausoleum of the sufi philosopher Mevlana at the Mevlana Museum. Dinner and overnight in Konya. Description: After breakfast you will depart for the unique rocky region of Cappadocia with its fairy chimneys and fascinating landscapes. 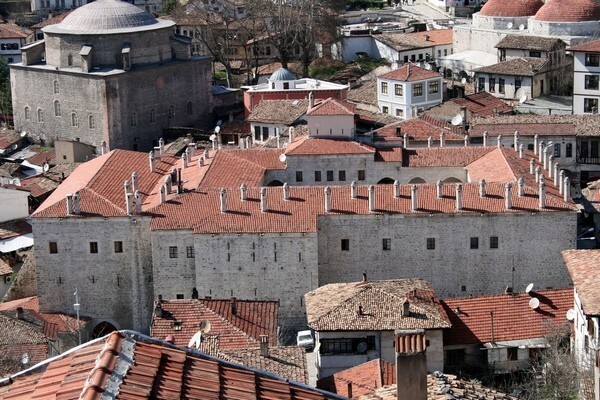 On the way, you will visit a 13th century caravanserai as well as the underground city of Saratli. Tonight, you may enjoy an optional whirling dervishes performance. Description: Early this morning there is an optional hot air balloon tour. Experience floating above the volcanic valleys, fairy chimneys, and caves at sunrise. After breakfast, you will visit Goreme, a historical region of Turkey located among the rock formations, which was first settled during the Roman period. Many rock churches can still be seen today, as Christianity was once the prevailing religion in the region. You will then continue to the town of Avanos, renowned for its high quality earthenware. You will also visit Pasabag and Red Valley, and attend a brief regional pottery workshop. Dinner tonight is at a local restaurant. Description: Today begins with an early morning departure to the capital city of Ankara. Enjoy an afternoon tour of the Museum of Anatolian Civilization, a historic caravanserai containing artifacts from up to 7500 years old, including the most extensive and valuable collection of Hittite artifacts in the world. Continue to Safranbolu for dinner and overnight. 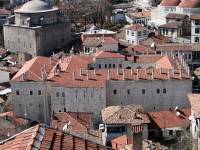 Description: After breakfast, you will visit the old part of Safranbolu before continuing to Istanbul. In the afternoon, you can join an optional half day tour of Hagia Sophia and a Bosphorus cruise along the strait that separates Asia and Europe. Its shores are lined with fine neighbourhoods, Ottoman palaces, fortresses, old wooden villas, hotels, parks and gardens, restaurants, and cafes. You can also finish any last minute shopping at the Spice Market filled with the fragrance of exotic spices. Tonight you will enjoy a farewell dinner. Description: After breakfast, transfer to the airport for your return flight home. End of services. 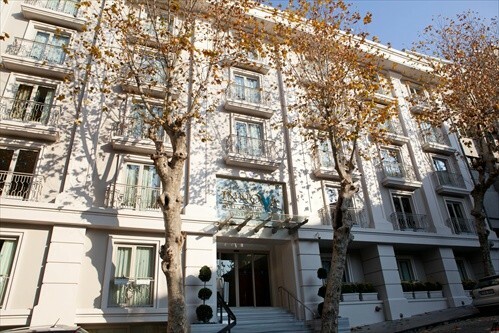 Situated in the heart of Istanbul, the family-friendly Recital Hotel is within walking distance of the Cemberlitas Bath, the Grand Bazaar, and the Turkish and Islamic Art Museum. 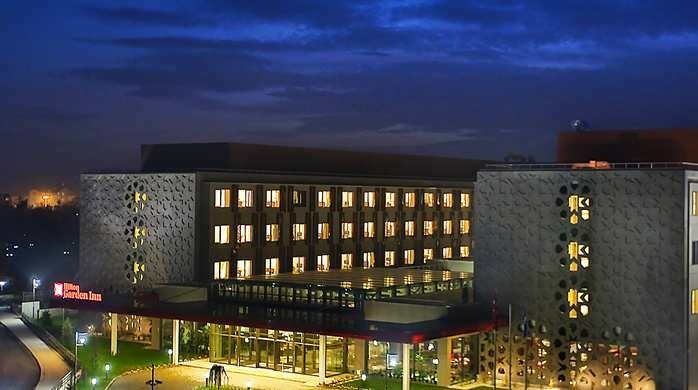 The hotel provides guests with comfortable accommodation, stunning views of Istanbul, and a great location for guests to explore the historic city. 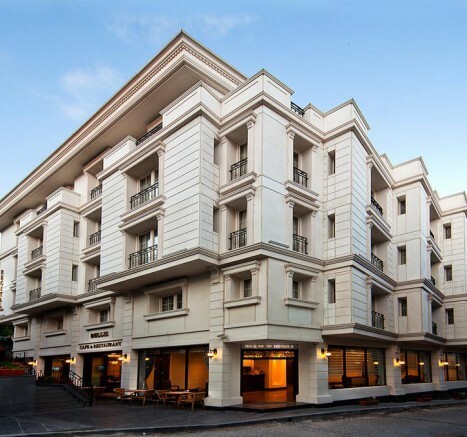 Located in the historical Sultanahmet district, the Innova Sultanahmet Istanbul is just minutes from Istanbul's famous attractions. 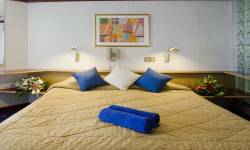 The hotel offers luxurious accommodation and modern amenities to make for a comfortable stay in this historic city. The Carina Hotel offers a genuine quality of service as a family-run hotel set among landscaped gardens overlooking Kusadasi beach, located in the city center of Kusadasi, a resort town on Turkey's Aegean coast. 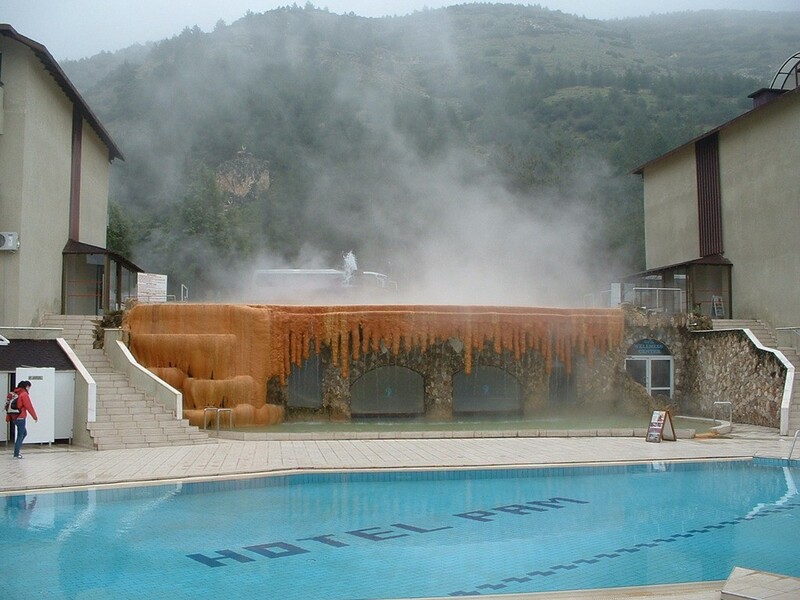 The Pam Thermal Hotel is located in the western part of Turkey, in the Pamukkale Karahayit region, famous for its red thermal springs which are one of the features at Pam Thermal. 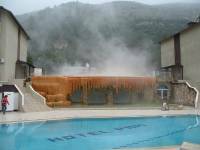 This hotel is the ultimate relaxing escape where guests can experience the healing thermal pools and fresh air of the region. 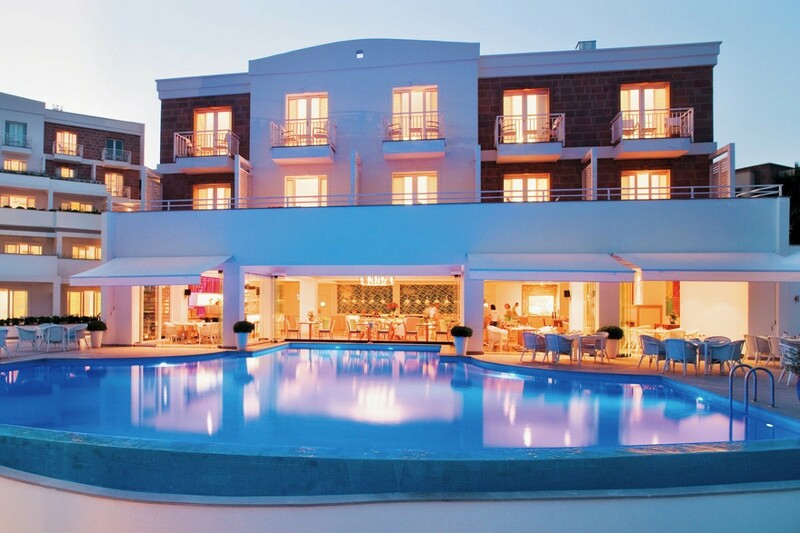 Doria Hotel Bodrum, situated in a dramatic hilltop location in Bitez, is the newest and hippest boutique hotel in this historic once-upon-a-time fishing village featuring an open, airy design, and spectacular views of the Aegean with a private beach available to guests. 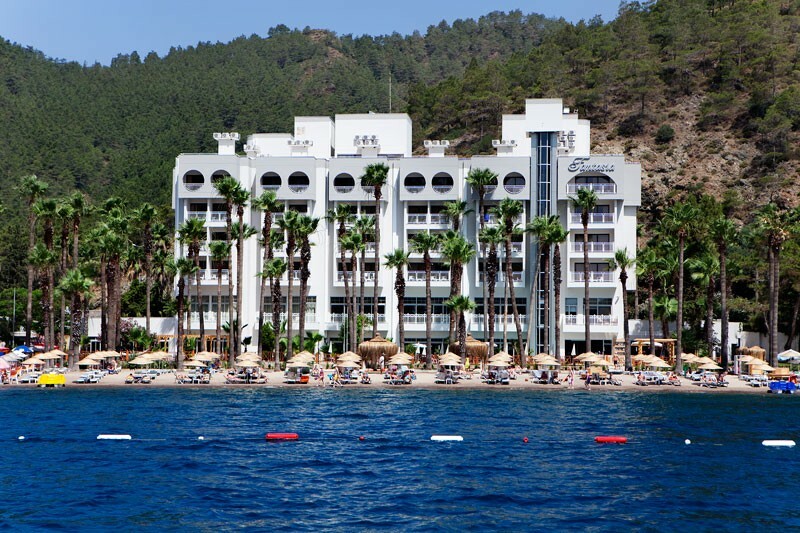 Fantasia Hotel Marmaris is a seafront hotel located in Icmeler just a 5-minute walk from Marmaris city centre, shops, restaurants, and 100 km away from Dalaman Airport. 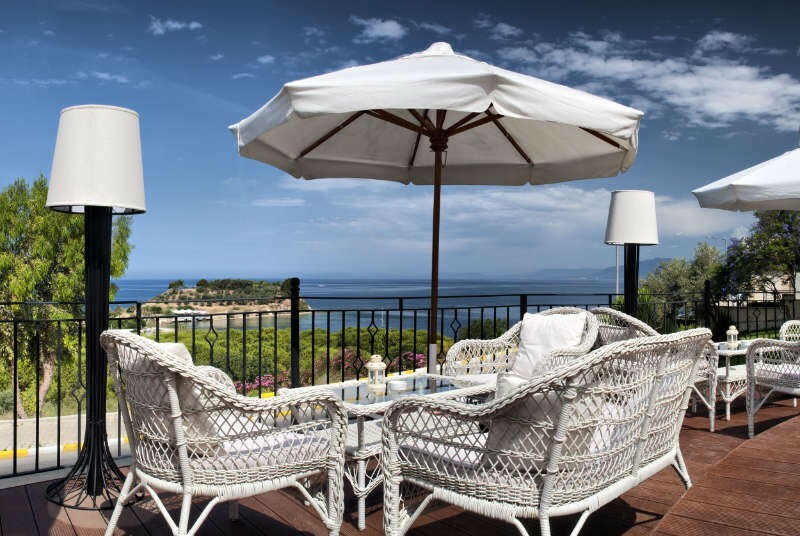 It offers panoramic views of the Mediterranean Sea, an outdoor pool, a deluxe spa, and much more. The Patara Prince Hotel and Resort in Kalkan is a unique Mediterranean escape by the sea, located near beaches and historic sites, providing guests with fun and relaxation with a number of facilities and activities offered. Puding Marina Residence is situated in the Kaleici district in the old town of Antalya featuring 8 historical mansions. 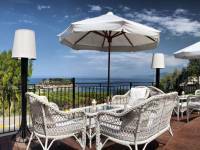 This resort is situated near Mermerli Beach and provides views of the mountains and the Mediterranean. Located in a beautifully restored house, the Dilek Cave Hotel offers breathtaking views of Cappadocia and its fairy chimneys as well as authentic rock-cut rooms featuring natural stone walls to provide a relaxing and scenic stay. 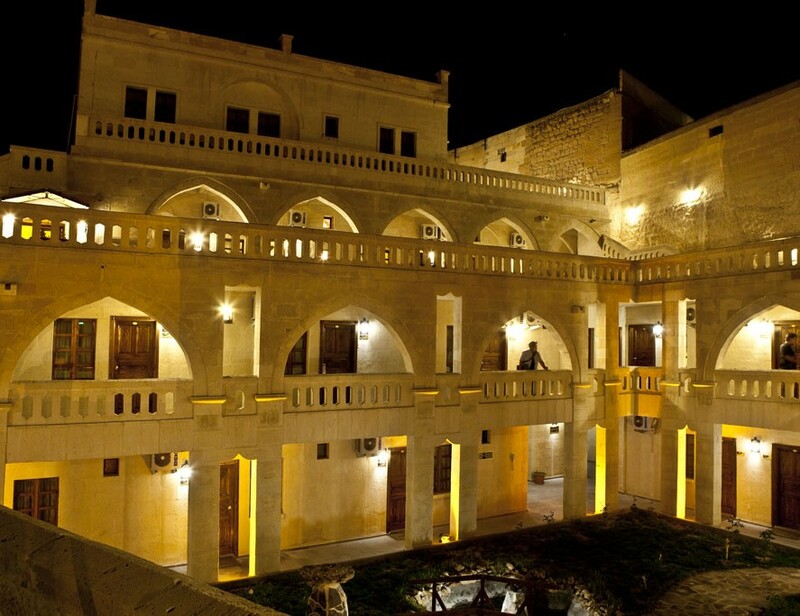 Cinci Han Hotel, which is one of the biggest historic caravansarays in Turkey, is located within walking distance from historic artifacts in Safranbolu town. The Cinci Han Hotel is a unique and historic stay where guests can immerse themselves in history and a fascinating culture.